Open the email (large file size due to multiple attachments). Double click each email attachment in turn. Double click on the poster attachment to open / download it. Realise the poster is for a conference not in your field. I don’t know about you, but as a PG student, I receive dozens of emails each day. When it comes to conference posters and calls for papers, I dare say I have missed a few, or even just forgotten to check this week’s admin roundup, as there are often upwards of 10 or more attachments each with a title that doesn’t necessarily shout ‘open me’. So what’s the alternative? What can you do to make your communications more effective? First thing’s first, it’s important to recognise that that you are engaged in a marketing activity, and not just a time-consuming addition to your academic workload. As with all things marketing-related, it’s useful to spend some time planning your approach before you start. This will save you hours of toil and frustration in the long run. Your plan doesn’t have to be complicated – just a side of A4 will usually be enough, with a few key points plus some time-based targets to work by. Even this simple step will improve your communications and give you better focus. You may even attract more responses as a result. In any good marketing plan, you should always consider your audience. Who are you targeting? Where do your target audience go looking for information? Too often people take the ‘scatter gun’ approach and just fire out as many emails as possible, equating quantity with quality. However it’s far more effective and efficient to consider the leads you’re looking for, and the types of people you want coming to your event. Put yourself in the position of the reader. 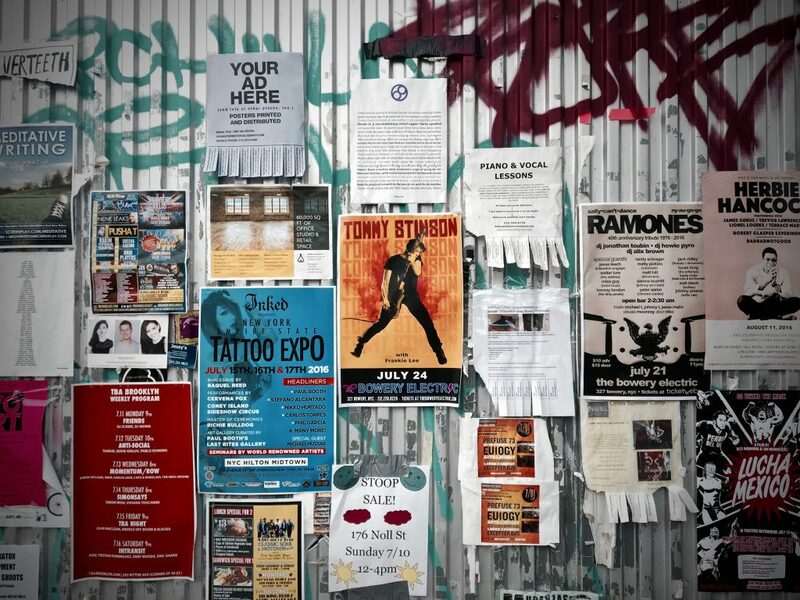 We’re all busy people, bombarded with posters, flyers, surveys and all sorts of other communications, so take a moment to think about what you can do to make your particular message stand out. What other ways can you promote your event? Who are you targeting? What’s the best way to recruit them? Do you even need a poster at all? You should also consider your existing contacts, as they can be a great resource. People are also far more likely to respond if they’ve been contacted directly, be it by email, instant message, social media of face-to-face. I really do encourage you here to think outside the box, and don’t just assume that because you’ve made a poster or shared a Tweet that people are a) going to look at it and b) going to respond to it. This is why planning is so important, as it means you can often achieve better results with less effort, and a lot less stress. I hope this blog has given you some things to think about. At the very least I hope it’s persuaded you to take another look at the way you communicate with fellow researchers and academics. In my next marketing blog I hope to write about social media – especially in relation to conferences – but in the meantime do feel free to comment below and share your own experiences. I’d love to hear your thoughts.